The GCU Dance Ensemble made its debut over the weekend with a highly expressive, passionate and creative winter concert, “Kinetic Dreams,” at Ethington Theatre. Saturday’s dance performance was the first in more than three years at Ethington and was followed by a second show Sunday. 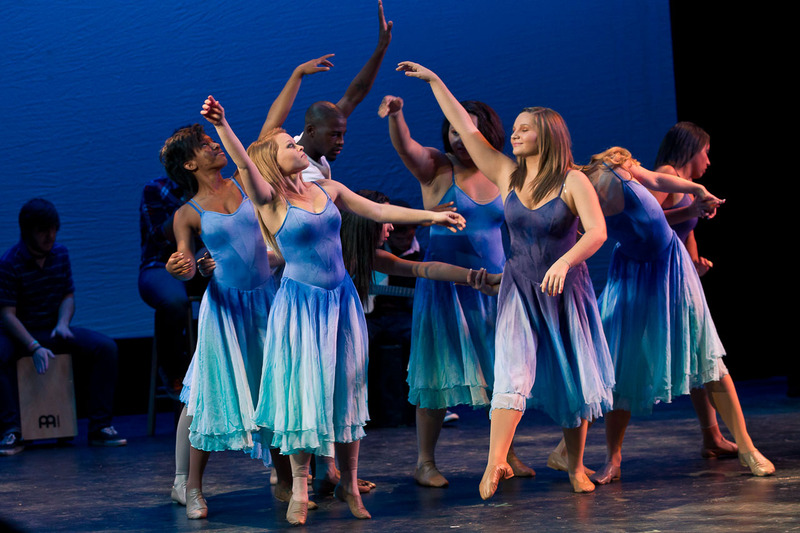 Under the direction of Susannah Keita, the troupe of 10 dancers performed a series of lyrical ballet, jazz and modern dance routines. After a short introduction to the dance education program by Keita, the concert began with “Healer,” a song by Michael Guglielmucci performed live by Gabriel Salazar, Jason Richard and Ryne Norman. The unique, stripped-down arrangement incorporated lyrical ballet movements, American Sign Language and live music, all pointing to God as the healer in our lives. In their angelic costumes, the dancers seemed to glide effortlessly. Then the GCU Dance Team entertained the audience with its performance to the song “Bad Romance,” written by Lady Gaga and recorded by Lissie. The up-tempo number, titled “Fame Monster” by its choreographers, energized the crowd with its jazz/funk style and painted a picture of destruction caused by fame and fortune. 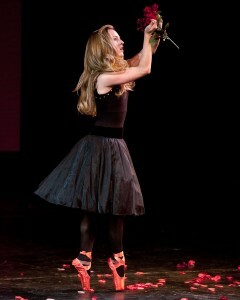 Kelsey Alexander, a GCU freshman, choreographed and performed a powerful solo to “Broken” by Seether with Amy Lee. The message: Only when we’re broken and come to the end of ourselves can God pick us up and make us whole again. “Dust,” choreographed by Brooke Hughes Melton of Tucson and accompanied by the ominous tolling of a bell, reflected the conflict in losing a loved one and struggling to let go. “He Loves Me Not,” choreographed by Conni Torres and performed brilliantly by Caroline Branch — both freshmen at GCU — captured the anger of a jilted bride in her black leotard and red pointe shoes. Keita, an accomplished dancer, took the stage to perform “I’ve Done What I Could to Pick Up the Pieces,” a modern dance number accompanied by Evan Pensis on piano. Pensis is the son of Dean Claude Pensis of the College of Fine Arts and Production. The Dance Ensemble concluded with an upbeat performance to “Stolen Moments” by United Future Organization, set to a lively Latin beat and celebrating our hope in the one who created us. Keita’s choreography made it a perfect show-ender. “Kinetic” means “energy of motion,” and that’s an accurate description of this production. The troupe’s hard work was evident, and it could not have delivered a more spirited performance.